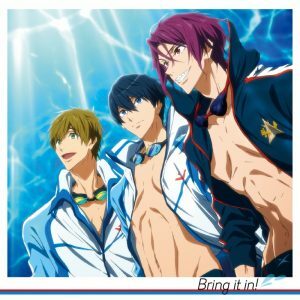 [Sports Summer 2017] Like All Out!? Watch This! 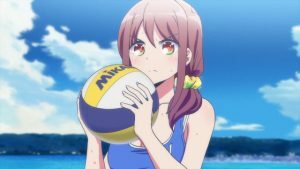 As the long-awaited Tokyo Olympics 2020 is getting closer, anime’s world has got down to business over the past months to release a large amount of new series about all sorts of sporting activities which were a success since their very first episode. This is the case of Yuri!!! On ICE, for example, whose fame is far away from being vanished and that is probably going to lead to a second season or Kuroko no Basket, which with its three seasons and three compilations of movies, has enthralled sports’ lovers making them live the emotion of the national tournament and the dream of victory. 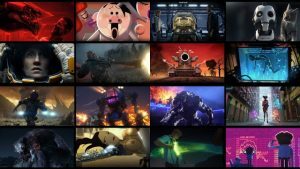 Year 2016 has been prolific for sports anime – or “spokon” as Japanese call them – and rang down the curtains in fine style with All Out! 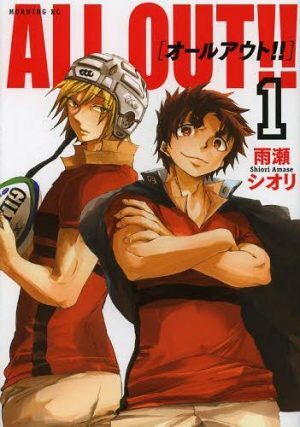 !, that anime about rugby that was able to reach the apex of popularity in no time. 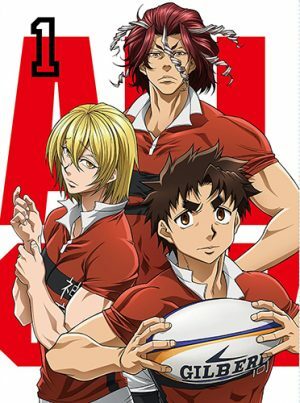 Naturally, an anime about rugby couldn’t be other than a success in a country where it is ranked fifth in the rank of the most popular national sports, but that wasn’t the only reason for All Out! !’s greatness. All Out!! is a story about seeking physical boundaries and overcoming them by great effort and sacrifice, where rugby becomes a pretest to talk about a group of people who take the courage to fight against their demons in order to become stronger. About diving have to do with All Out!!? You would be very surprised to know. First of all, let’s refresh our memory! Affectionate fans will certainly remember that All Out!! 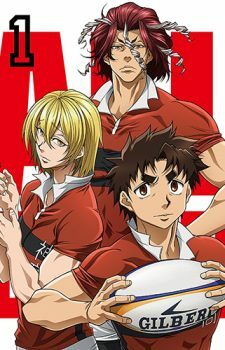 is the adventure of the small but well-built high school student named Kenji Gion who, after being inspired by the great variety of some athletes’ physical structures, decides to join the rugby club of Kanagawa High School. Indeed, with the exception of captain Takuya Sekizan, Kanagawa High School team members don’t look like conventional players, tall and athletic. Gion’s classmate, Iwashimizu is thin and not particularly talented, sub-captain Hachiōji is overweight, and Gion himself is really short. They will have to work together to overcome their physical limits and become an unbeatable team. Liked All Out!! ? Watch Ballroom e Youkoso! Tatara Fujita is a very confused middle school student in the last year of his school career who still hasn’t decided what to do with his future. Indeed, Tatara has no particular hobby and there is nothing he really cares about, so writing his career sheet is giving him a hard time. One day, Tatara casually ends up walking by a dance studio owned by Kaname Sengoku, a dynamic professional dancer who invites Tatara to take a look inside after saving him from the bullies. 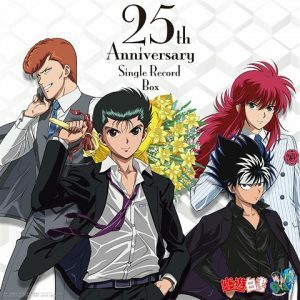 At first, the introverted middle-schooler doesn’t seem interested in the dance studio at all, but the passion in his schoolmate Shizuku Hanaoka, the way to dance of the prodigy Kiyoharu Hyoudou, and a DVD containing Sengoku’s past competition will make Tatara’s mind change. 1. Starting a New Life. 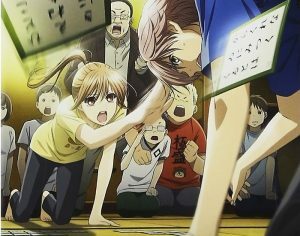 How is it possible that an anime about dance can be similar to an anime about rugby? Well, there are actually some good reasons for it, and one of them lays in main characters’ stories of both of the anime. As Kenji Gion in the beginning of his new school career is wondering about what he likes and which club he should join, Tatara Fujita also struggles to find a way to catch up with his peers and find his own path to follow. Like Gion’s, also Tatara’s drama starts with the first episode of the series and ends when he meets Sengoku and the other members of Ogasawara Dance Studio. It will be the studio’s “captain” Sengoku to ignite Tatara’s passion for dance, in the same way Sekizan turned on the light on Gion’s bored face. What do you expect from an anime set in a dance studio? Well, if you expect from Ballroom e Youkoso a boring and lame anime about kids having fun dancing, you are completely off track. Instead, Ballroom e Youkoso has so many elements in common with a “manly” anime like All Out!! than any other spokon out there lately. Indeed, what we loved about All Out!! were the harsh matches its characters had to play in order to achieve victory, the battles Sekizan and his team had to fight in mud and dust. Naturally, there is no mud or dust in Ballroom e Youkoso, but the passion for challenge, the struggle, the thirst for victory are exactly the same. In Ballroom e Youkoso, the dance floor gets slippery for the sweat the characters have spilled, gets ruined by hours and hours of brutal workout, while the muscles are constantly sore for sacrifice and great effort. The energy Tatara, Hyoudou, Sengoku, Shizuku put on dancing is as intense as Gion, Sekizan, Iwashimizu, Hachiouji’s. Like in All Out! !, the four heroes fight to push the ball up the court, in Ballroom e Youkoso Tatara and his friends fiercely move on a dancefloor stained with sweat and tears. When you think about dancers what it comes to mind first is a slender, elegant, and delicate figure who sumptuously slides on the dancefloor. Well, there is no worse way to imagine the design Ballroom e Youkoso was meant to be. On the contrary, characters in Ballroom e Youkoso appear quite realistic and far away from the image of feminine athlete given to characters in other dance-related spokon, and that is probably one of the most evident point it has in common with All Out!! There are mainly two things about All Out!! that are great and they are the variety in the design of its character who are unique individuals not only in the way they think and behave, but also in the way they appear, and the personality of each character which oozes out their eccentric facial expression. 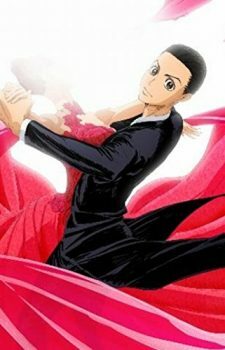 Characters’ design in Ballroom is more than similar to All Out! !’s on both of these aspects. 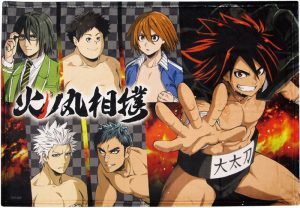 Indeed, Tatara and his friends are drawn to look physically strong and able-bodied as you would expect from athletes practicing hard and competing at a very high level. 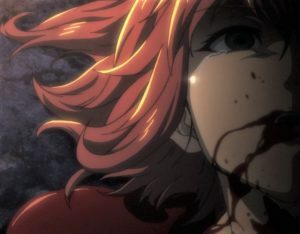 Then, there is that aggressive, greatly determined look in the characters’ faces which could put a rugby player to bitter shame. Physical power and expressiveness are the keywords of both All Out!! and Ballroom e Youkoso, which differ only in plot and kind of sport played. Liked All Out!!? Watch Dive!!! Can a one-second-long emotion be worth the sacrifice of years spent practicing while puberty fading away? Youichi Fujitani, born to parents who were both very prominent in the Japanese diving world, bet on it when he still was just a little child, and gave up his friends, the fun, and all those things teenagers like to do in order to achieve his goal to reach the Olympic podium. 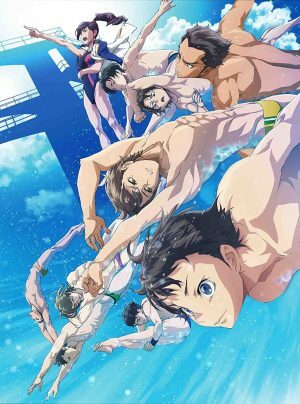 Inspired by Youichi’s coolness and perfection, the second-year middle school student Tomoki Sakai decides to enter his same Mizuki Diving Club (MDC) to join Youichi in his passion. However, the not particularly self-confident Tomoki is actually somewhat special; only after coach Kayoko Asaki joins the MDC to save it from disaster, Tomoki will find out he has been destined to Youchi’s same world. Three Major Similarities Between All Out!! and Dive!! When Kenji Gion comes to know about rugby he is a troubled teenager wondering about what to do with club activities. He is not particularly tall and have never been particularly strong in any sport he has performed, but when he accidentally walks by the court and comes to know that rugby can be played without having to be physically special, Gion finally gets that inspiration he needed and finds the path to follow he was searching for. Unlike Gion, Tomoki is just a kid when he finds out his love for diving, but the reasons why he decides to join MDC are similar to Gion’s; anyone can dive if they want to, so Tomoki doesn’t even have to care about being thin and delicate. It is Youichi who teaches him and inspires him to join the diving club. There is a strong connection between Dive!! and All Out! !’s main characters, and their link was born from the motivation which made them want to work hard in order to overcome their own limits. There are people who join a club just for fun and socialize with peers, while there are people who dream to fly high in the sky and leave an indelible mark in history. When Kenji Gion joins the rugby club, he does it to become the shiniest star in the team and wouldn’t let anyone pounce on his desk. 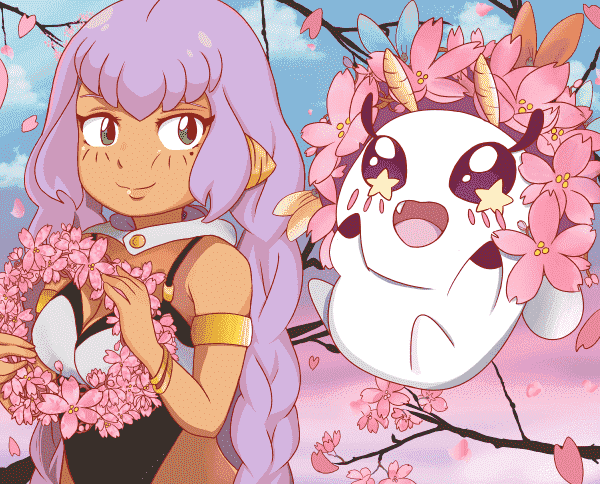 The wish for greatness is a leitmotif in spokon anime like All Ou! !, and for Dive! 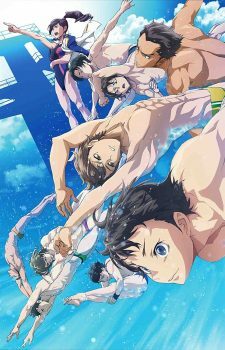 !’s Tomoki is no exception; with the same thirst for victory of his friend Youichi, indeed, also Tomoki dreams to reach the peak of diving competitions, and that great and closest goal he dreams to conquer is the podium of Tokyo Olympic 2020. 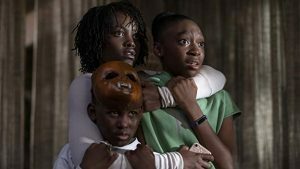 Of course, the path to follow is a tough one and requires extreme sacrifices for a kid of barely fourteen, but with drive and ambition even the hardest obstacle can be overcome. 3. A Team of Solitary Wolves. Also in All Out!! everyone has his own reason to be there and playing in team becomes a pretext for learning something more about yourself in order to become stronger and become the star of the rugby. Also in Dive!! there is only one who can reach the apex and become the number one diver in the world, so Tomoki will have to learn how to stop thinking of his friends as a team to be faithful to; just like for the star of the team in rugby, also a diver is a solitary wolf who can’t but fight alone in the battle for being the best. 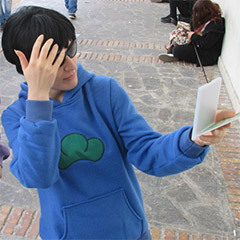 The price for glory can’t other than being heavy and also Tomoki, like Gion, will have to learn it; there can be only one winner, and that’s both the best and the saddest thing about wishing to be the number one. Whether is about rugby, dance, or diving, always spokon retains its special features which are passion, motivation, loneliness, and struggle. All these characteristics mix well together in both All Out! 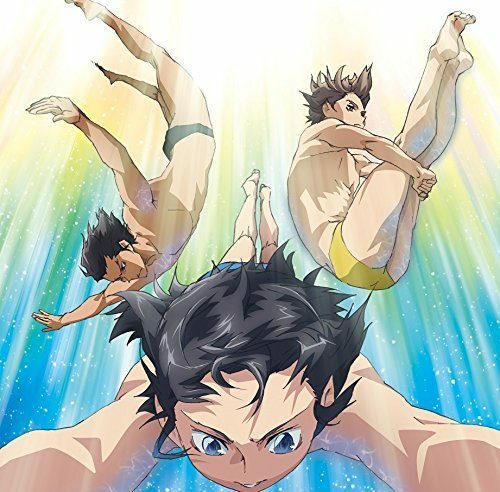 !, Ballroom e Youkoso, and Dive!! and give us back a cauldron of breathtaking emotions. Are you ready to dive into a new athletic experience? Let us know with a comment! [Fujoshi Friday] Top 6 Shippable Couples in All Out!! 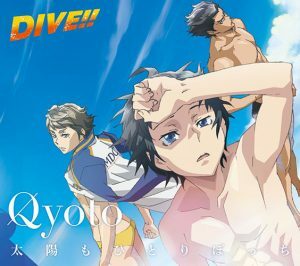 [Fujoshi Friday] Dive Review - One Second to Fall in Love… Or Quit.